Cruise along the mighty Mekong River through the heart of South East Asia and explore fascinating water-borne worlds, from floating villages to colourful markets. Step back in time as our journey unfolds through stunning countryside: farmers with conical hats work in fields that disappear into the distance, whilst water buffalo plough the paddies until the sun sets in a blood-red explosion of colour. Observe riverside life and the wooden houses balancing on stilts, as giggling children watch us go by. 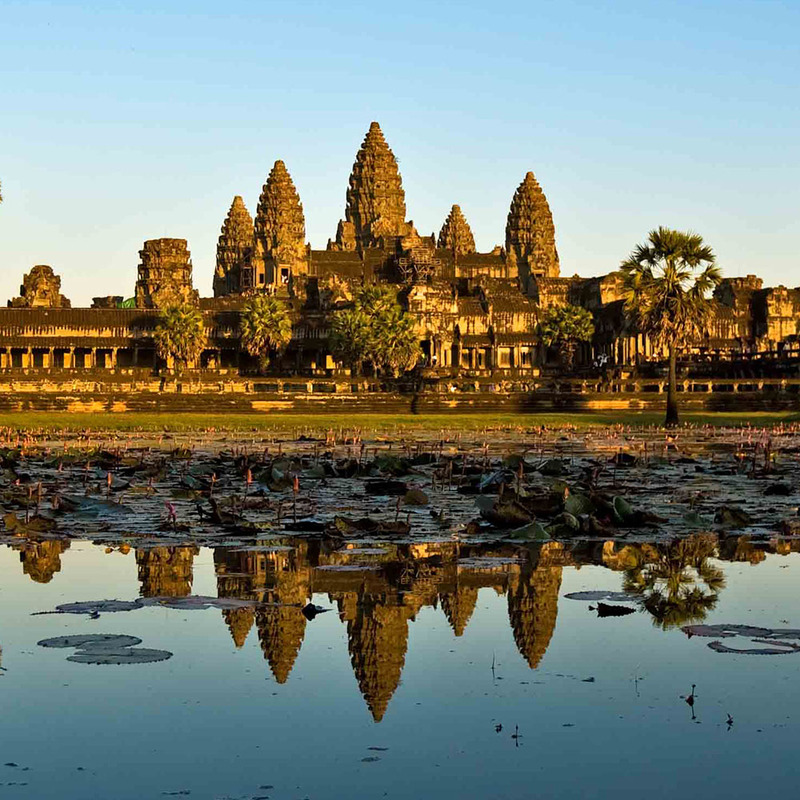 We visit Cambodia and Siem Reap, gateway to one of the great wonders of the world – Angkor, once the world’s largest city with a staggering one million inhabitants and an incredible 200 temples. We also stay in Phnom Penh, Cambodia's capital, beautifully located at the confluence of the Mekong and Tonle Sap and considered the most beautiful of the ‘French’ colonial cities of Indochina. 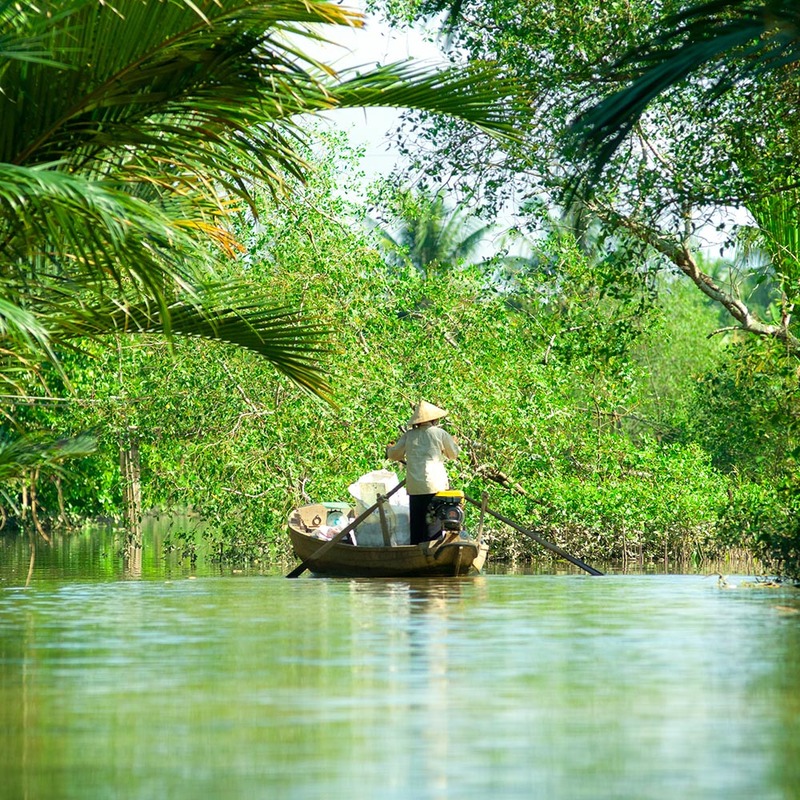 In Vietnam, the people and landscape are different, and the pace of life is faster. See the legacies of past rulers – the Chinese, Khmers, Portuguese, Japanese and French – in an eclectic mix of temples and pagodas, along with palaces, mansions and neo-classical buildings. Today, the motorcycles and western dress of the industrious youth happily co-exist with orange-clad Buddhist monks and political posters from a bygone era. 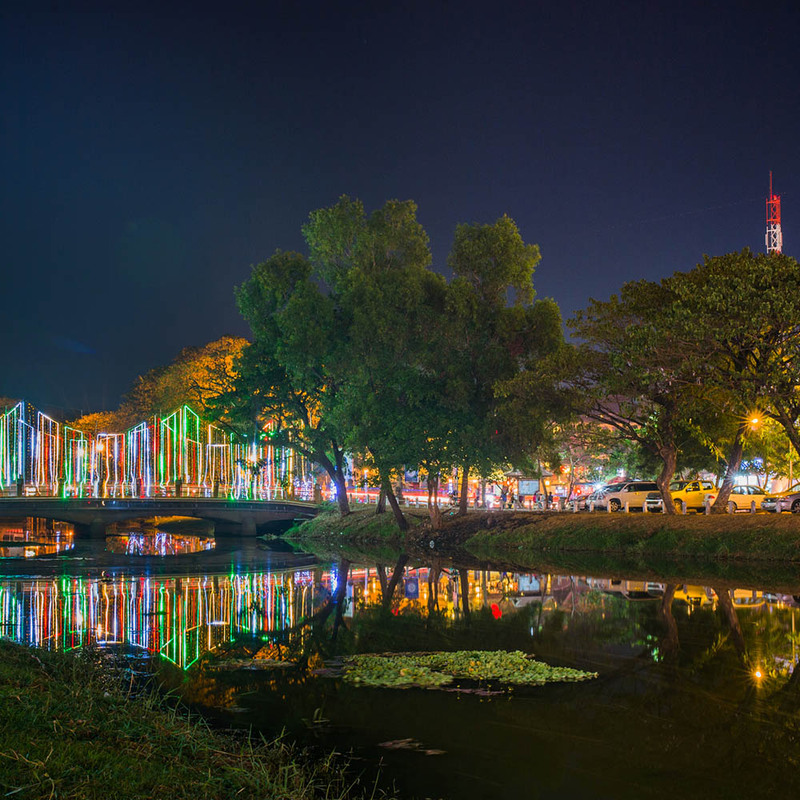 Now is the time to visit these captivating and colourful destinations while so much of this distinctive heritage remains; and the best way to experience them is from the beautiful arterial waterway, the stunning Mekong River. After your morning arrival you will be met and transferred to the four-star superior Pullman Saigon Centre to stay for two nights with breakfast. Breakfast is available at the hotel this morning after checking in. We’ll take an introductory tour of the city. Highlights include the Reunification Palace where famously in 1975, a tank burst through its gates in the final defining moment of the Vietnam War. 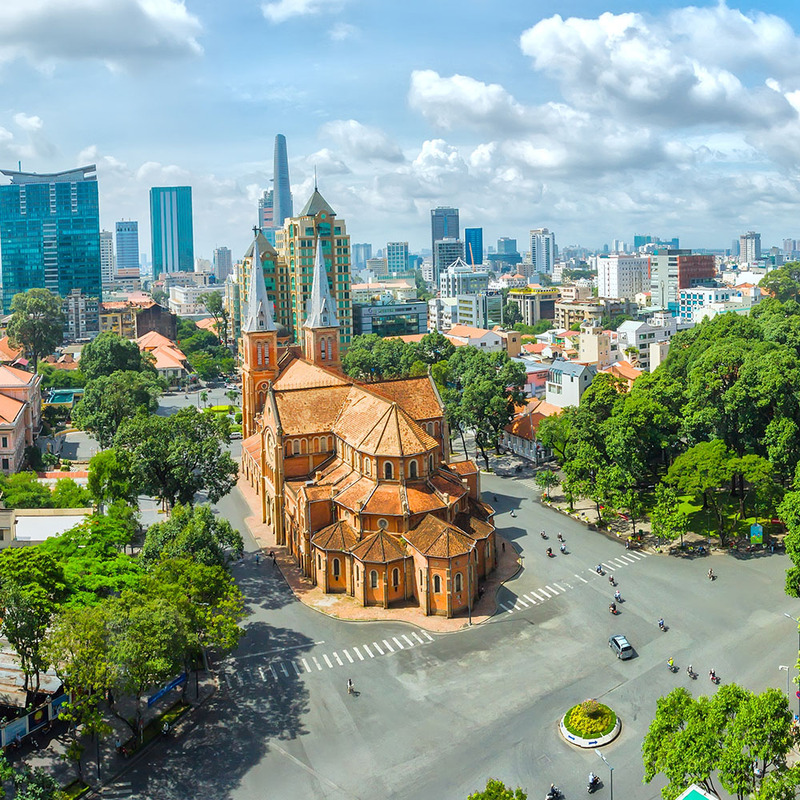 We also see the War Remnants Museum and the lively Ben Thanh market - a fascinating insight into Saigon's daily life, you can find anything here, all at extremely good prices! The colonial-style central post office is a marvellous photo opportunity. The rest of the day is at leisure. Expectations rise during our drive to the Mekong Delta, its coconut groves swaying with the breeze, the countryside studded with pagodas and an amazing network of paddy fields, tended by farmers bent double and almost completely covered by their iconic conical hats; these are some of Vietnam’s most enduring images. Originally called Mae Khong, ‘Mother of all Rivers’, huge volumes of water drain from the hinterland plains and the snow-clad Chinese Himalayas, surging along an epic 3,000-mile journey. Life here revolves around its waterways: the imposing sampans so typical of South East Asia for hundreds of years and the quintessential floating markets of longboats, which almost sink under the groaning weight of colourful vegetables. Your cruise is the perfect way to discover and understand this fascinating and rapidly emerging corner of the world – a serene experience immersing you in its people and customs at a wonderfully gentle pace. After a stop at the picturesque Cholon market and a lacquer workshop, you board either the superb four-star RV Mekong Prestige II or the RV Mekong Adventurer. Your highly professional crew, imbibed by the unique service ethic you find everywhere here, ensure you settle in to your spacious and beautifully appointed cabin. After an excellent lunch, your journey begins. A wonderful reality soon sinks in with your first glimpses of the amazing stilted villages and teeming river traffic animating the scene seemingly at every turn. As darkness gently falls, take your seat in the restaurant for your first dinner, offering a choice of superbly executed Vietnamese or Cambodian cuisine or international classics. The excellent cuisine is accompanied by tasty and included local wines, beers or soft drinks. Mooring at Cai Be, the day ends with a lovely performance of traditional Mekong music and perhaps a nightcap in the balmy late evening air, bathed by the unmistakable sounds of the East. This morning we sail by local junk along Cai Be’s waterfront and amazing floating market, where wily sellers dangle their wares from long poles to the myriad of smaller boats in a vibrant riot of colour and noisy bartering. We visit the remarkable French Gothic cathedral, a poignant reminder of Vietnam’s colonial past. This afternoon we cruise through Vinh Long to Sa Dec with a guided stroll through the colourful local market – an interesting comparison with this morning. 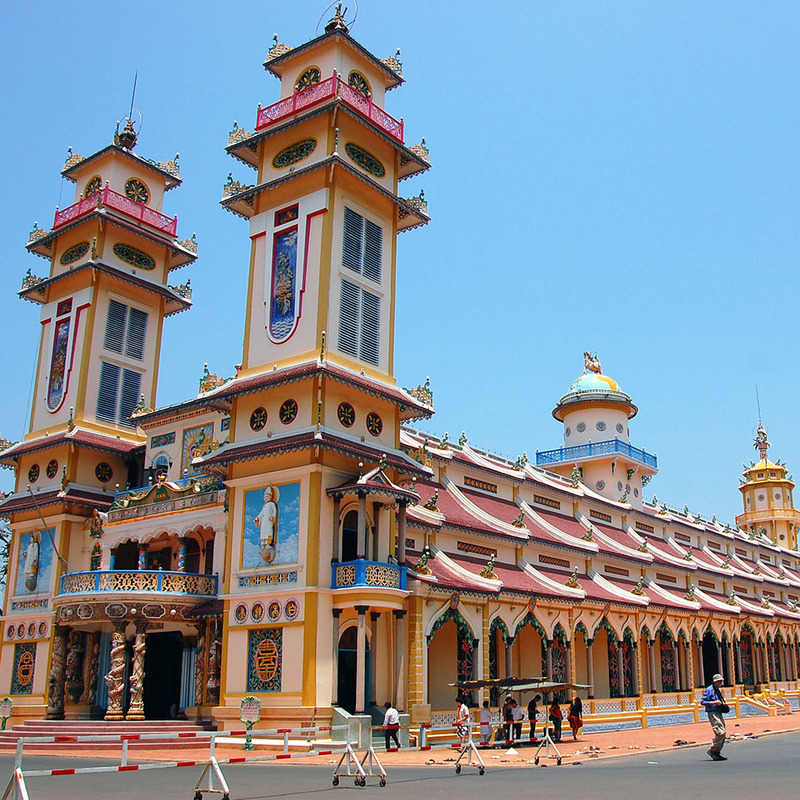 The highlight of the day is the intriguing Cao Dai Temple, centre of a unique indigenous religion, a fascinating combination of Taoism, Buddhism and Chinese Confucianism plus elements of Christianity, Islam and spiritualism. Bizarrely, its saints include Joan of Arc, Napoleon, Shakespeare and Winston Churchill! The temple itself is a striking combination of western and oriental architectural styles and mesmerising brightly coloured statues, overlooked by the religion’s all-seeing Divine Eye – it’s sure to leave you something to ponder after your visit. Another tropical night atmospherically falls as we cruise upstream whilst enjoying another superb dinner and the kaleidoscope of truly amazing sights, sounds and scents, accompanied by the gentle waters lapping peacefully against the hull. Called the ‘Paris of the East’ during colonial times, Phnom Penh has preserved much of its wonderful rustic charm, elegance and French allure. 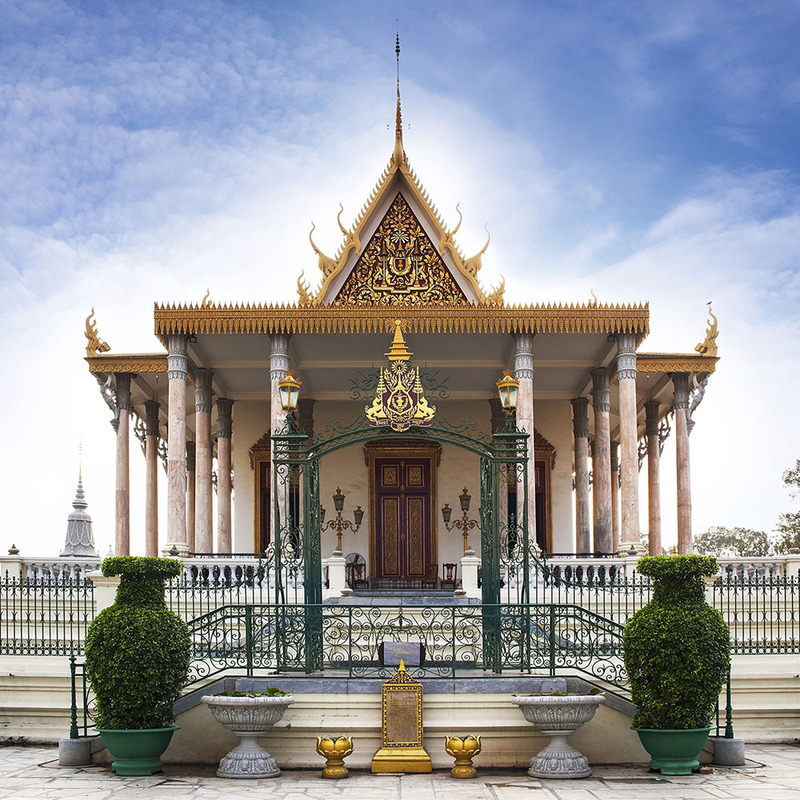 Sightseeing includes an exciting cyclerickshaw ride to the dazzling Royal Palace and the Silver Pagoda, followed by a chance to witness exceptionally beautiful Khmer craft in the National Museum. In homage to Cambodia’s tragic recent history, we next visit the haunting Tuol Sleng Genocide museum. 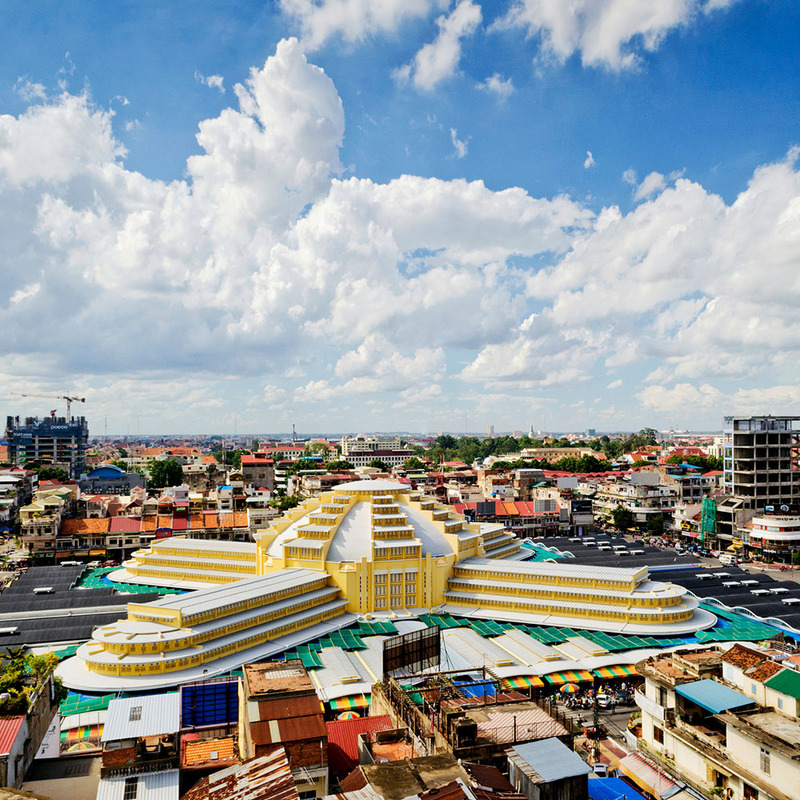 Phnom Penh has some excellent markets offering fine silks, spices and high quality lacquer work, providing the perfect opportunity to hone your bargaining skills. This evening you will be entertained by a traditional Apsara performance, where talented silk-clad dancers will dazzle you with their graceful poise and intricate hand movements, originally designed to entertain the gods. We moor overnight, enabling easy exploration of the city late into the evening, where the bustling markets, teeming street restaurants and hawkers sell literally anything, enhancing the electric ambience so typical of the emerging Far East. 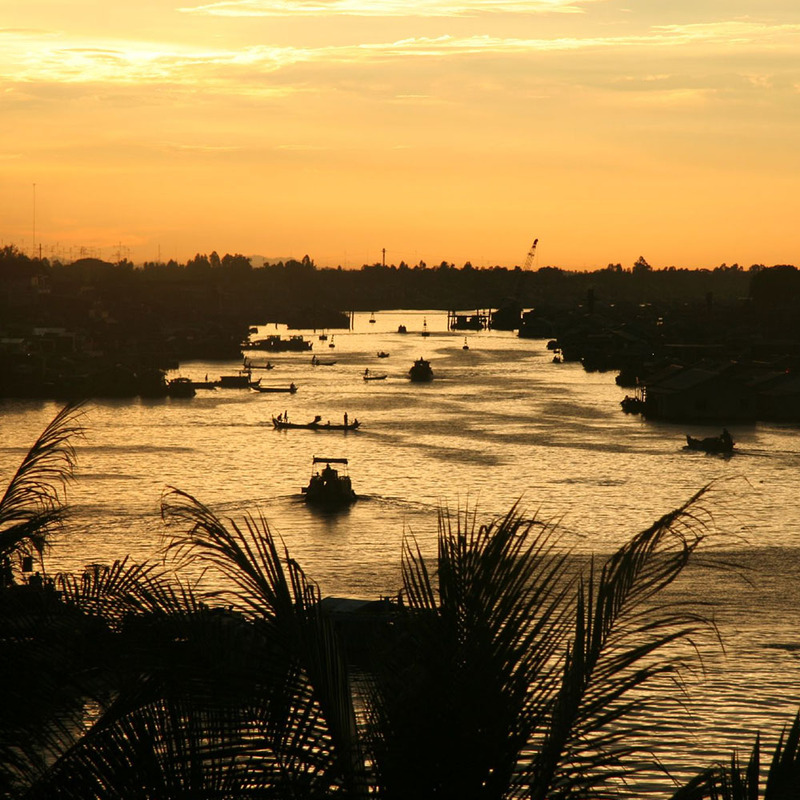 Kampong Chnang is a busy, rural port town noted for its bustling markets and mesmerising canal network. Boarding traditional long-tail boats we visit its picturesque floating village where life is conducted entirely astride the river, before a stroll through the picturesque market, a cacophony of sounds, smells and vibrant colours. This afternoon, our final cruise crosses the Tonle Sap (Great Lake), in the rainy season South East Asia’s largest lake and critical to Cambodia’s biodiversity, with its fish staggeringly supporting 3 million people. You may see crocodiles and turtles plus a huge variety of birdlife. 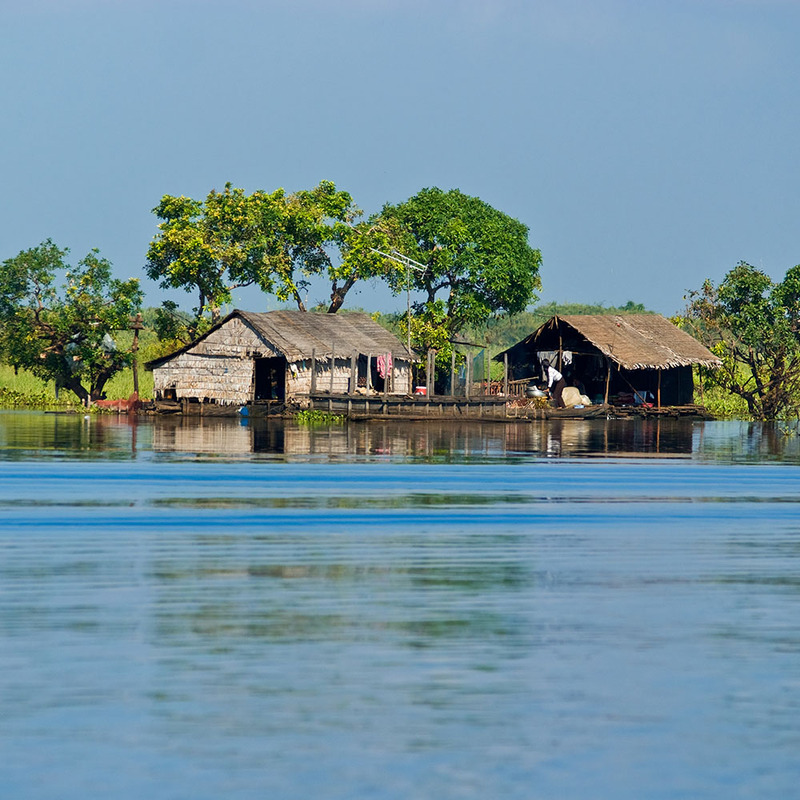 Adapting to the seasonal climate, fascinating floating villages have evolved where homes and markets plus workshops, schools and surgeries amazingly rise and fall with the water level. Because of these changes our own itinerary from day 9 to 11 may vary (the cruise described above is based on a high-water itinerary). Early this morning our river cruiser glides to a final halt, berthed in Siem Reap at the head of this stunningly beautiful lake. We say our fond farewells to the splendid crew as you continue your exploration of Cambodia where you stay for three nights at the four-star superior Borei Angkor Hotel on the Privilege floor with breakfast. An all day breakfast is available upon check in today. The hotel is extremely comfortable with two restaurants, a pool and the Mudita Spa. The rest of the day is at leisure, you may relax, take a refreshing swim or enjoy the spa. Today we see the haunting soft morning light over the eerie temples of Angkor. Encircled by verdant steamy jungle, shrouded in mist and with a tropical dawn chorus reverberating in the air, this is something you will never forget. We visit the huge, fortified 13th-century city of Angkor Thom with its five monumental gates and 91-metre wide moat; its centre contains one of Angkor’s most astonishing sites, the temple of Bayon. Crowned by over 50 towers, each with four colossal carved heads looking out in every direction, this is an extraordinary masterpiece of Khmer art. One of the most intriguing sites is the smaller temple of Ta Prohm which has been left in its natural, unrestored state, with giant tropical trees bursting through the ruins, their roots entwined like vast tentacles across the moss-covered, weathered walls and roofs. Late in the afternoon we see the immense temple of Angkor Wat, one of the largest religious structures in the world. The main entrance faces west to catch the rose-red glow of the setting sun, a truly magical time of day. Afternoon tea (including wine and cocktails) is available at the hotel this afternoon, in the Damnak lounge, before taking the airport transfer for your flight to Ho Chi Minh City (Saigon) from where you connect with your return flight to the UK. You should arrive at the airport for your overnight flight to Siem Reap via Bangkok. After your late afternoon arrival, you check into the four-star superior Borei Angkor Resort & Spa Hotel for three nights on the Privilege floor with breakfast. All-day breakfast is available at the hotel this morning after checking in. The hotel is extremely comfortable with two restaurants, a pool and the Mudita Spa. The rest of the day is at leisure, you may relax, take a refreshing swim or enjoy the spa. Today we see the haunting, soft morning light over the eerie temples of Angkor. Encircled by verdant steamy jungle, shrouded in mist and with a tropical dawn chorus reverberating in the air, this is something you will never forget. We visit the huge, fortified 13th-century city of Angkor Thom, with its five monumental gates and 91-metre-wide moat. Its centre contains one of Angkor’s most astonishing sites, the temple of Bayon – crowned by over 50 towers, each with four colossal carved heads looking out in every direction, this is an extraordinary masterpiece of Khmer art. One of the most intriguing sites is the smaller temple of Ta Prohm which has been left in its natural, un-restored state, with giant tropical trees bursting through the ruins, their roots entwined like vast tentacles across the moss-covered, weathered walls and roofs. Late in the afternoon we see the immense temple of Angkor Wat, one of the largest religious structures in the world. The main entrance faces due west to catch the rose-red glow of the setting sun – a truly magical time of day. The day is at leisure for you to enjoy the swimming pool and facilities of your hotel, or simply explore the excellent markets and restaurants of Siem Reap. Afternoon tea (wine and cocktails also included) is available at the hotel this afternoon. Expectations rise during our morning drive to the pier at Phnom Krom, where you board either the superb four-star RV Mekong Prestige II or the RV Mekong Adventurer. Your highly professional crew, imbibed by the unique service ethic you find everywhere here, ensure you settle in to your spacious and beautifully appointed cabin. After an excellent lunch, the journey begins with an afternoon crossing the enormously varied Tonle Sap (Great Lake), in the rainy season South East Asia’s largest lake and critical to Cambodia’s biodiversity, with its fish staggeringly supporting three million people. You may see crocodiles and turtles plus a huge variety of birdlife. Adapting to the seasonal climate, fascinating ‘floating villages’ have evolved, where homes, markets, workshops, schools and surgeries amazingly rise and fall with the water level. Because of these water level changes, our own itinerary from days 5 to 7 may vary according to the date of travel. This description is based on a high-water itinerary. Today we cruise into the heart of Cambodia on the Tonle River, a Mekong tributary, which astonishingly changes its direction of flow between wet and dry seasons. A remarkable ecosystem here is home to 20,000 plants species, 1,200 birds, 800 of reptiles and amphibians, plus 430 mammals – with 1,300 new species having been discovered since 1997. We arrive in Kampong Chnang, a busy rural port town noted for its bustling markets and mesmerising canal network. Boarding traditional long-tail boats, we visit its picturesque floating village, where life is conducted entirely astride the river before we stroll through the picturesque market, a cacophony of sounds, smells and vibrant colours sailing towards Kampong Tralach. After lunch on board, we travel by traditional local ox cart, experiencing the leisurely pace of life still pervading this wonderfully beautiful country to discover the charming monastery of Wat Kampong Leu, renowned for its extraordinarily beautiful wall paintings. Taking a bus, we visit historic Oudong, the country’s former capital. We then visit the peaceful Vipassana Dhura Pagoda, a revered place of meditation, nestling at the foot of Phnom Udong, a wooded hill with impressive Buddhist spiritual monuments towering above the trees, marking the final resting place of the Khmer kings. After another delightful breakfast, we arrive at Chong Koh or Oknathey, a delightful silk-weaving village, walking at leisure, and view a particularly impressive pagoda. This afternoon takes sail to Phnom Penh. Called the ‘Paris of the East’ during colonial times, Phnom Penh has preserved much of its wonderful rustic charm, elegance and French allure. Take the afternoon at leisure to explore its intriguing corners such as Wat Phnom, symbol of the city after which the city was named. This evening you will be entertained by a traditional Apsara performance, where talented silk-clad dancers dazzle you with their graceful poise and intricate hand movements, originally designed to entertain the gods. 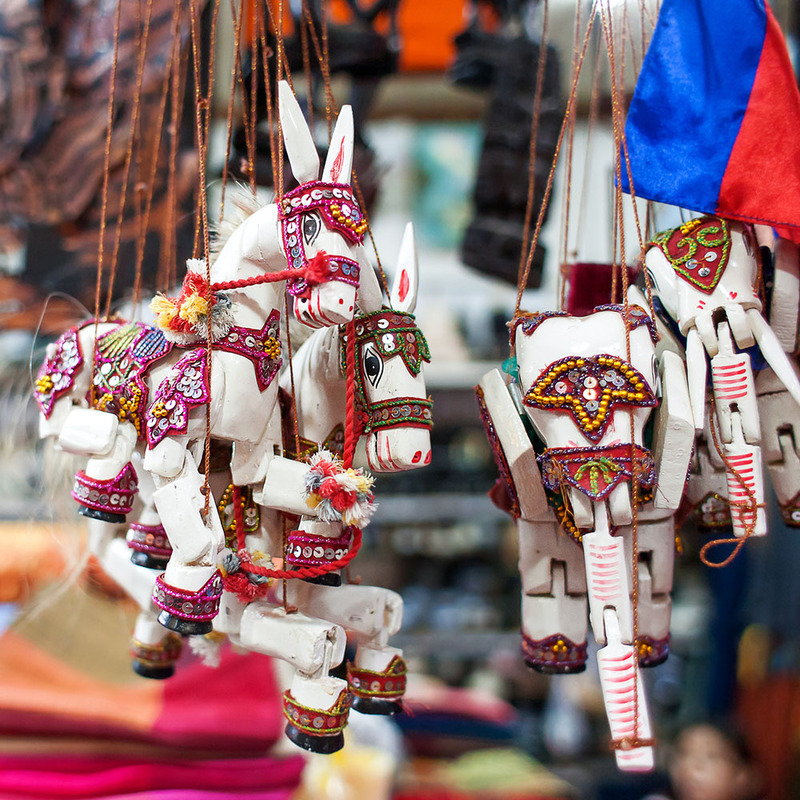 Phnom Penh has some excellent markets offering fine silks, spices and high-quality lacquer work, providing the perfect opportunity to hone your bargaining skills. We moor overnight, enabling easy exploration of the city where late into the evening, the bustling markets, teeming street restaurants and hawkers selling literally anything, enhance the vibrant and electric ambience so typical of the emerging Far East. Today’s sightseeing includes an exciting visit to the dazzling, white-and-gold Royal Palace and the Silver Pagoda, followed by a chance to witness exceptionally beautiful Khmer craft in the National Museum. In homage to Cambodia’s tragic recent history, this afternoon we visit the haunting Tuol Sleng Genocide museum. Alternatively, perhaps visit the remarkable Russian market, or just relax and catch up on some reading or simply absorb the teeming river life. 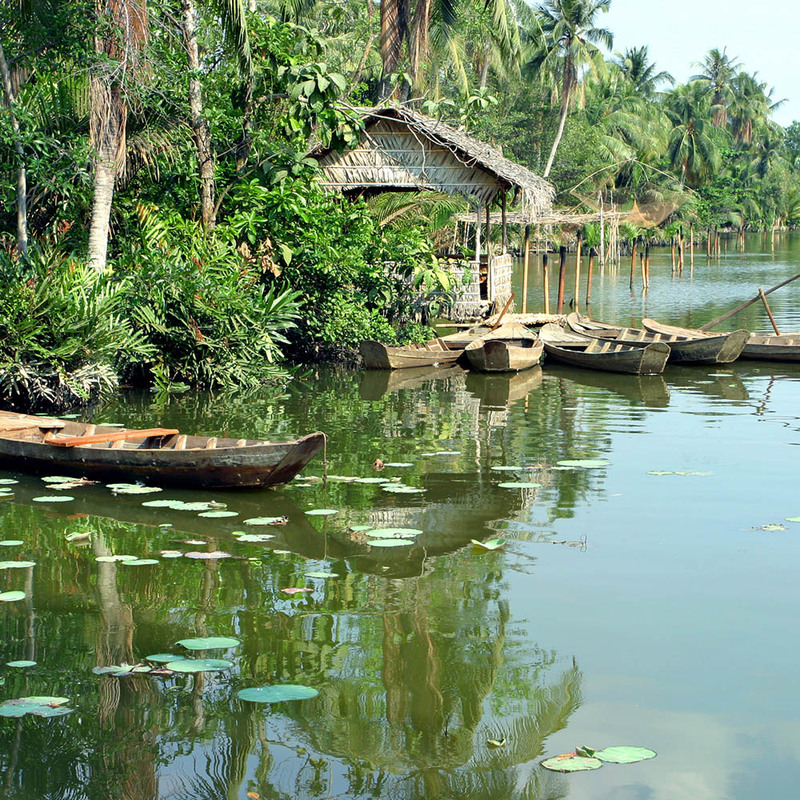 Slipping our moorings, Cambodia slowly recedes as we cross into Vietnam, passing timeless villages and river life with extensive fishing activities. One of the great pleasures of river cruising is waking up somewhere completely different and as dawn breaks, we are berthed in remote Tan Chau. One of the delights of Vietnam is that so many cottage industries still thrive, offering a fascinating insight into the past. This morning we explore Tan Chau, Vietnam’s leading silk centre producing extremely high quality and truly beautiful, naturally dyed clothes. Following an exciting rickshaw ride around the town, we are taken back to lunch on board as our leisurely navigation continues. Awake in Sa Dec, where we take a guided stroll through the colourful local market. The highlight of the day though, is the intriguing Cao Dai Temple, centre of a unique indigenous religion, a fascinating combination of Taoism, Buddhism and Chinese Confucianism plus elements of Christianity, Islam and spiritualism. Bizarrely, its saints include Joan of Arc, Napoleon, Shakespeare and Winston Churchill! The temple itself is a striking combination of western and oriental architectural styles and mesmerising brightly coloured statues, overlooked by the religion’s all-seeing Divine Eye – it’s sure to leave you something to ponder after your visit. This afternoon we cruise through Vinh Long, arriving at Cai Be, and sail by local junk ships along the waterfront to see the amazing floating market, where wily sellers tantalisingly dangle their wares from long poles to the myriad of smaller boats in a vibrant riot of colour and noisy bartering. We also visit the remarkable French Gothic cathedral, a poignant reminder of Vietnam’s colonial past. Another tropical night atmospherically falls as we cruise downstream and enjoy another superb dinner, an experience enhanced by traditional music, the kaleidoscope of amazing sights, sounds and scents, and the gentle waters lapping peacefully against the hull. Early this morning the Mekong Prestige II glides to a final halt, berthing in My Tho. After breakfast, we say our fond farewells to the splendid crew and continue our exploration of Vietnam. After a stop at the picturesque Cholon market and a lacquer workshop, we journey to Ho Chi Minh City (Saigon) where we stay for two nights at the four-star superior Pullman Saigon Central with breakfast. We take an introductory tour of the city, seeing highlights including the Reunification Palace where famously in 1975, a tank burst through its gates in the final defining moment of the Vietnam War. We also see the War Remnants Museum and get a glimpse into daily Saigon life at the lively Ben Thanh market, where you can find anything here at extremely good prices. The Notre Dame Cathedral and the colonial-style central post office here provide marvellous photo opportunities. The rest of the day is at leisure. 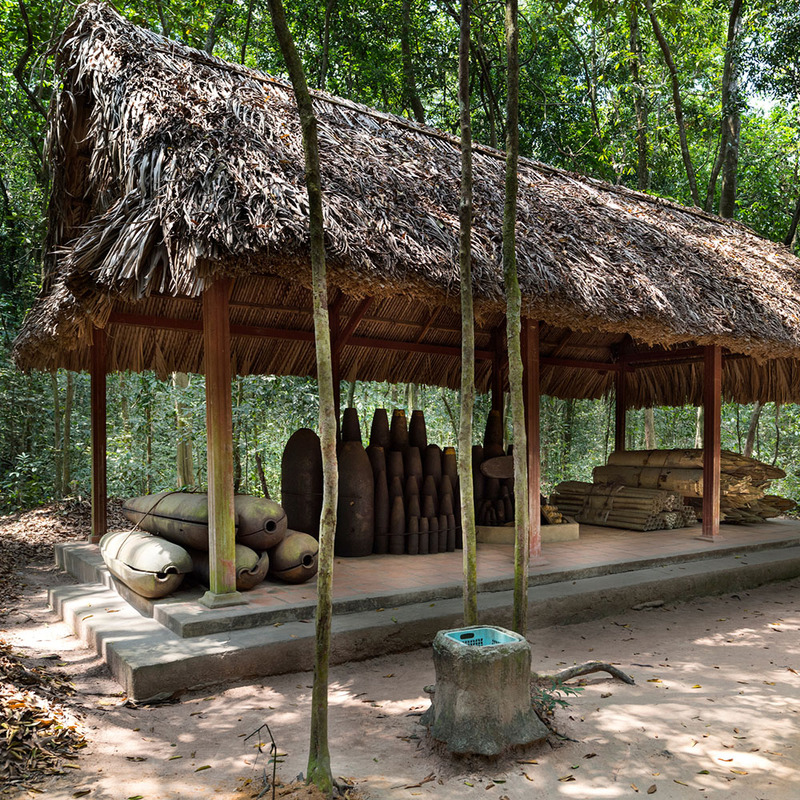 This will be a day to remember – we visit the famous Cu Chi tunnels, a complex underground network stretching for 124 miles which included hospitals, meeting rooms, sleeping quarters and kitchens. Begun during the last years of French rule and vastly expanded during the 1960s, the tunnels provided a base for the Vietcong from which to attack US forces within just 30 miles of Saigon. Our visit here is a fascinating insight into these troubled times: we see the tunnels themselves and examples of the many mantraps and stake pits which protected them. Despite being carpet-bombed, the tunnels were never penetrated, and should you wish, you may try out real period weapons on a firing range. We continue through rural farming communities back to Saigon, where the rest of the day is at leisure. You should arrive at the airport for your overnight flight home. The price of this holiday is per person, based on two people sharing a twin room/cabin; five nights bed and breakfast in four-star hotels and seven nights full board, including non-alcoholic soft drinks, local beer and local wine at mealtimes on the RV Mekong Adventurer or Mekong Prestige II; all flights as mentioned; all transfers; porterage; guided tours of Saigon & Cu Chi tunnels, one day entrance and guided tour of Angkor; all shore excursions as described whilst on the cruise; gratuities for the ship’s crew; and the services of a Riviera Travel tour manager. 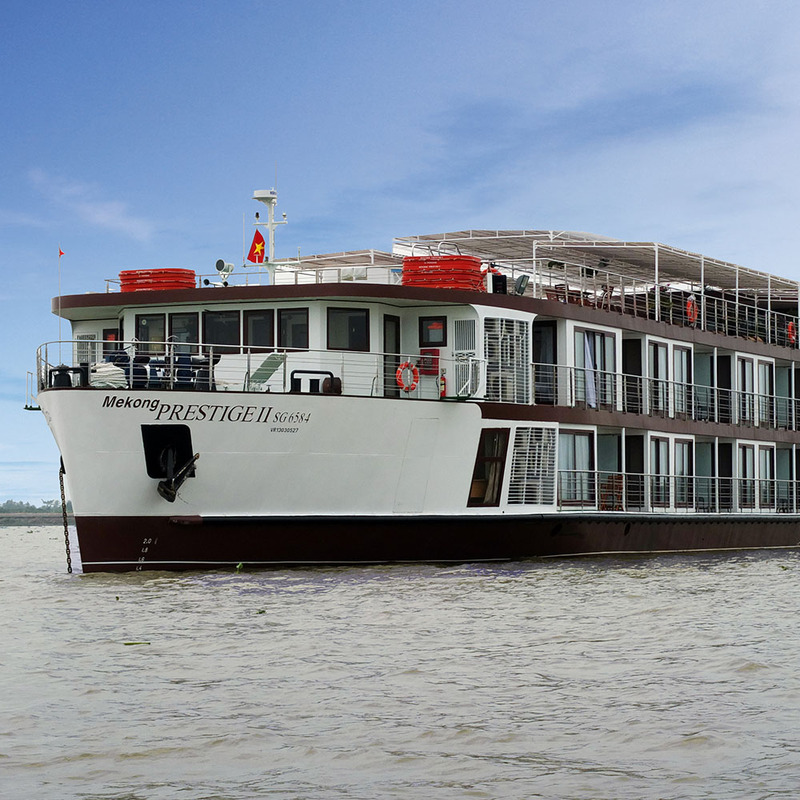 At the peak of high water, normally at some point between end of August to mid-December, the level of the lake may rise by up to 10 metres, so ships will be able to sail all the way across the Tonle Sap Lake to or from Siem Reap. The itineraries detailed in this brochure are during high water. During the low water period, generally between late December to mid-August, sections of the river within Cambodia and the Tonle Sap Lake may be un-navigable and the ships will moor on the Mekong itself and travel to or from Siem Reap will be by coach or speed boat on the first/last day of your cruise, depending on whether you are sailing upstream or downstream. 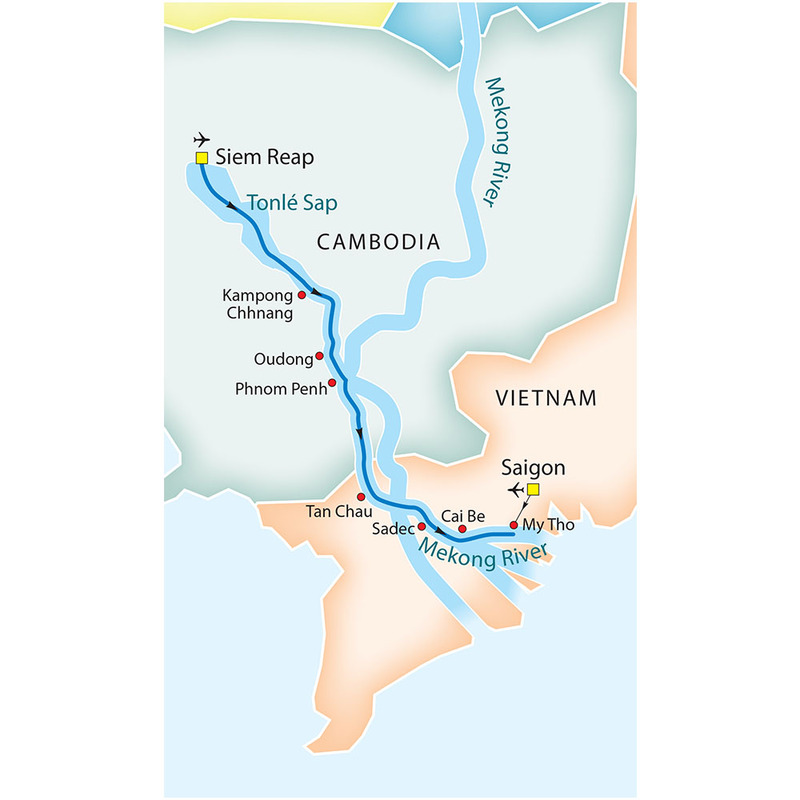 The itinerary, timings and the places visited en-route may vary depending on whether you travel upstream or downstream and on the water levels in the upper reaches of the Mekong and the Tonle Sap Lake. We may not always be able to advise you in advance of any itinerary changes as decisions to amend any part of the cruise could be made by the ship’s captain during the cruise itself. However, we will always endeavour to ensure that equally interesting visits and stops are substituted – it’s all part of the adventure of river cruising in South East Asia. Currently British passport holders do not require a visa to enter Vietnam. However, this arrangement may change from 1st July 2017, after which you may need to apply for an e-visa at an extra cost of approx. US$25 per person. Further details will be provided with your booking confirmation. 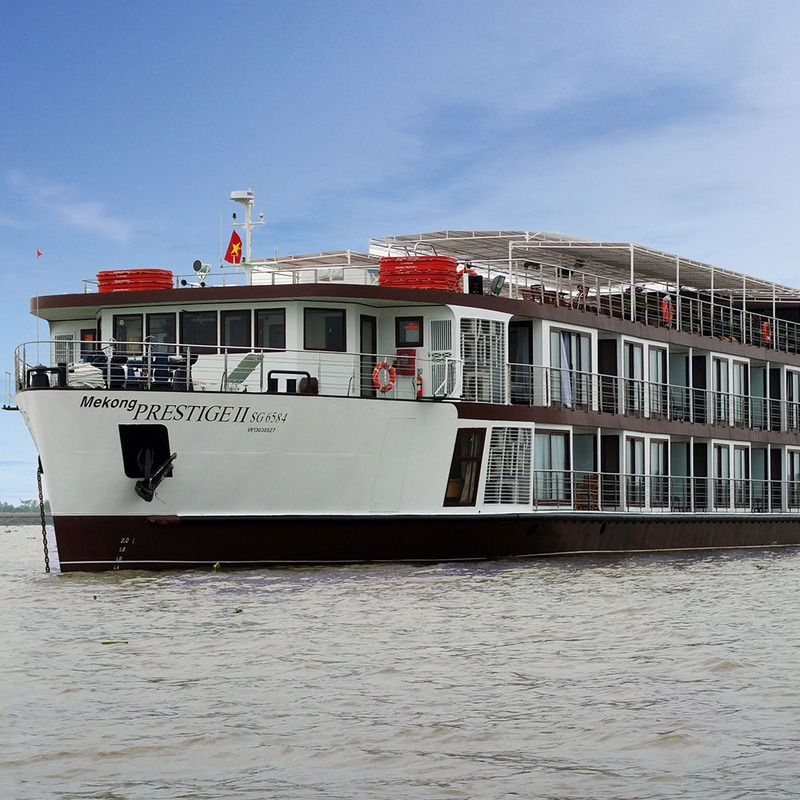 On upstream itineraries Cambodia visas are arranged by the ship whilst on board at a cost of US$40 per person. On downstream itineraries you can apply for your Cambodian visa easily on arrival into Siem Reap upon completion of a simple application form and payment of US$35 per person. Alternatively, you can apply for your visa online prior to departure and further details for this will be provided on confirmation of your booking. Please note all visa costs are non-refundable and subject to change without notice. Relax and enjoy a late check-out (until 4pm) at the Borei Angkor Resort Hotel in Siem Reap. Please note this is only available on the upstream itinerary. £26 per person for double or twin occupancy. £52 per person for sole occupancy. Phare, The Cambodian Circus tells of Cambodian folklore, historic and modern society stories through modern circus arts, dance, live music and theatre. More than just a circus, the young performing artists will enthral you with their talent incorporating emotion, enthusiasm and energy. This unique acrobat performance lasts for approximately 1 hour and is located in the very heart of the civilization of Cambodia, Siem Reap. Watch the video below for a glimpse of what you'll see. To book either of these experiences, please contact us. Flights with Thai Airways from London Heathrow will connect in Bangkok on both the outbound and inbound journeys. All other flights are direct. 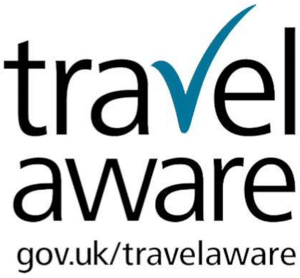 Please contact us if you would like timings and/or further information on the connecting flights. All flight details will be listed in your booking confirmation.